Mario Kart 7 (AKA Mario Kart 3DS) arrives this December, to the delight of fans that cannot wait to win cups, sail through the air via the new hang gliders and hit opponents with red turtle shells. We expect this to be the most feature packed game in franchise history, with famous Nintendo characters, weapons and of course, a variety of tracks. Naturally, there will be a wide assortment of new courses to enjoy, but in the Mario Kart tradition, Nintendo will also populate the game with a bunch of classic tracks from previous titles in the series. That said, here are six tracks we'd most like to see. 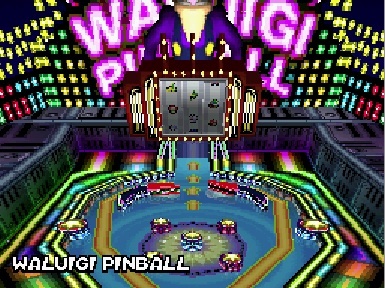 Obviously, you cannot have a Mario Kart without this iconic track. 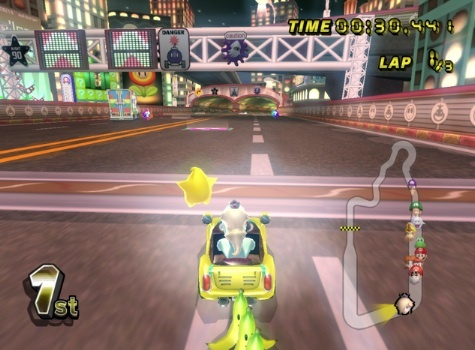 Rainbow Road is a staple of the celebrated franchise, dating back to the original SNES Super Mario Kart from 1992. This punishing and multi-colored course is suspended in outer space and packs quite a challenge. 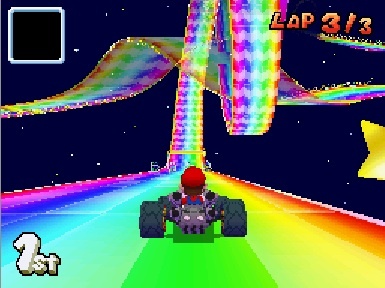 There are very few guardrails, which makes Rainbow Road quite treacherous. Nintendo has done a wonderful job altering the track with each new Mario Kart, so we can't wait to see what it looks like in the 3DS edition. Like Rainbow Road, Bowser's Castle is a must. 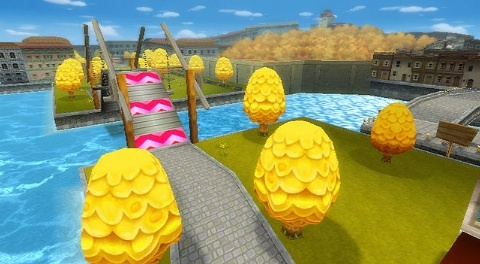 Although Nintendo tweaks the layout, each course challenges players to avoid lava pits, spinning fire bars and Thwomps, among other nasty hazards. We just started playing through Super Mario Sunshine again, and would love to have this thoroughly enjoyable track in Mario Kart 7. Flying off the bridge, taking shortcuts and admiring the Sunshine inspired scenery makes for a fun time. On top of that, we've always felt the course was evenly balanced for both new and experienced players. 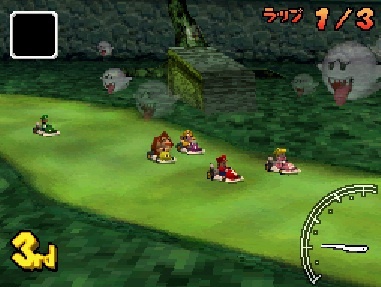 Originally, we were going to list Toad's Turnpike, a favorite from Mario Kart 64. Then we remembered Moonview Highway, which is essentially an evolution of that aforementioned track. Players zip through traffic, weaving between huge trucks while getting a leg up on the competition with boost pads. Fun times. 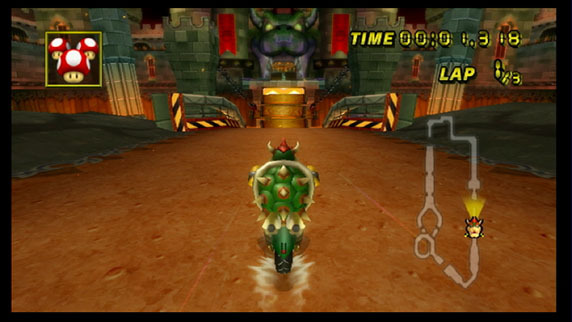 Of course, if Nintendo wanted to include Toad's Turnpike (and even Mushroom City from Mario Kart: Double Dash!! ), we have no problem with that. You'll need to worry about more than other players in this winding course that features oversized balls that make placing first a bit tricky, especially if somebody pushes you into one. We're big fans of the Luigi's Mansion GameCube title, and have a soft spot for the DS incarnation that takes us through mud, around possessed trees and into the heart of the haunted house.